After four years on the run, Osama Bin Laden, the world’s most wanted man, is nowhere to be found. 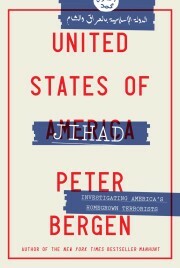 So rather than answer the $50m question, “Where is Osama?”, journalist and terrorism expert Peter Bergen decided to take the easier option of finding out, “Who is Osama?”. As one of the few westerners ever to have met the Al-Qaeda leader face to face, he was well placed to do this. His book’s title is somewhat misleading. For, having interviewed Bin Laden only once, back in 1997, Bergen does not really know the man. So he has put together an impressive series of interviews with people who do, from family, friends and former teachers to Al-Qaeda members. The basic plot-line is of course familiar. The son of a billionaire, growing up in the 1960s and 1970s in Jeddah and attending the best schools, turns into evil mastermind, intent on bringing death and destruction to the West. Although Bergen’s book has no real shock revelations, there is still something intriguing in reading Bin Laden’s English teacher, Brian Fyfield-Shayler, describe him as “extraordinarily courteous . . . probably partly because he was a bit shyer than most of the other students”. Osama was one of 54 children of construction magnate Mohammad Bin Laden by more than 20 wives, though he was the only child from that particular wife. From friends we learn he was tall and shy, liked westerns and kung fu movies, and hung out with his elder brother Salem, whose favourite song was Where Have All the Flowers Gone? Bergen has dug out some fascinating interviewees such as Christina Akerblad, the former owner of the Hotel Astoria in Falun,Sweden, who recalls Osama and Salem’s visit in 1970. They travelled by Rolls-Royce, bringing a big bag of Christian Dior and Yves Saint Laurent shirts, each thrown away after use. Despite this affluent background, even as a teenager in Saudi Arabia, Osama stood out as someone who prayed seven times a day, fasting twice a week. Bergen adds little commentary to his interviewees’ words, and some of them may be lying. It is left to the reader to piece together how this pious, unassuming teenager was transformed into the head of the world’s most formidable terrorist organisation. Friends point out that he was growing up during a time of great change in the region, with the overthrow of the Shah of Iran, the armed takeover of Mecca by militants and the Soviet invasion of Afghanistan. It was going to fight in Afghanistan that completely changed him. His childhood friend Khalid Batarfi talks of how he “became more assertive, less shy”. Bin Laden eventually formed his own fighting force at Jaji, The Lions’ Den. His university friend Jamal Khalifa went to visit, and was horrified to see him sending idealistic young Arabs to the front line on kamikaze missions. I lived in Peshawar covering the war in Afghanistan from 1988-89 and several times passed that camp. The mujaheddin with whom I was travelling were terrified of these Arabs, always making me hide as a woman. It’s intriguing the number of journalists who now claim encounters with Bin Laden, for in those days nobody had heard of him. His biographer Hamid Mir talks of going to Afghanistan to meet Mullah Omar in 1997 and being offered an interview with Bin Laden. He had no idea who he was and, seeking information at the US embassy in Islamabad, was asked the spelling of his name. Bergen’s interviews show how in Afghanistan Bin Laden came under the influence of Egyptian militants and this, along with the triumph of having taken on the Soviet army and won, inspired him to start thinking in global terms. Bergen has unearthed some great nuggets. Abu Jandal, the Saudi who became Bin Laden’s chief bodyguard, talks of the well-stocked libraries at Al-Qaeda camps. One book, the 12-volume Encyclopedia of Jihad, contains everything from How to Booby-trap a Napkin to How to Conduct a Drive-by Shooting. Training exercises include Target: The American (Jewish) Trade Attache. The book resolves some myths. Friends and colleagues insist he does not have kidney disease but suffers from low blood pressure. It also makes clear that he had no link with Saddam Hussein. On the contrary, he told his childhood friend Batarfi, “This guy can never be trusted.” Bergen confirms that Bin Laden was at Tora Bora in December 2001 and narrowly escaped being bombed. But he shows how, rather than sealing off the area, the US forces relied too much on Afghan commanders who accepted bribes to let Al-Qaeda slip through. He points out that there were more American journalists than American soldiers. Despite the doubling of the bounty on his head to $50m, there has been no sighting of Bin Laden since then. With attention having shifted to Iraq, the Al-Qaeda leader is now jokingly referred to in Washington as Bin Forgotten. But this extremely important book reminds us that he is still out there.